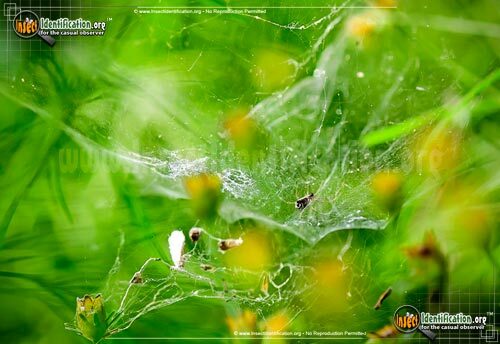 Detailing the physical features, habits, territorial reach and other identifying qualities of the Bowl and Doily Weaver Spider. The Bowl and Doily Weaver Spider sets an elegant table setting out of its spider silk, though any guest will not be the one dining. 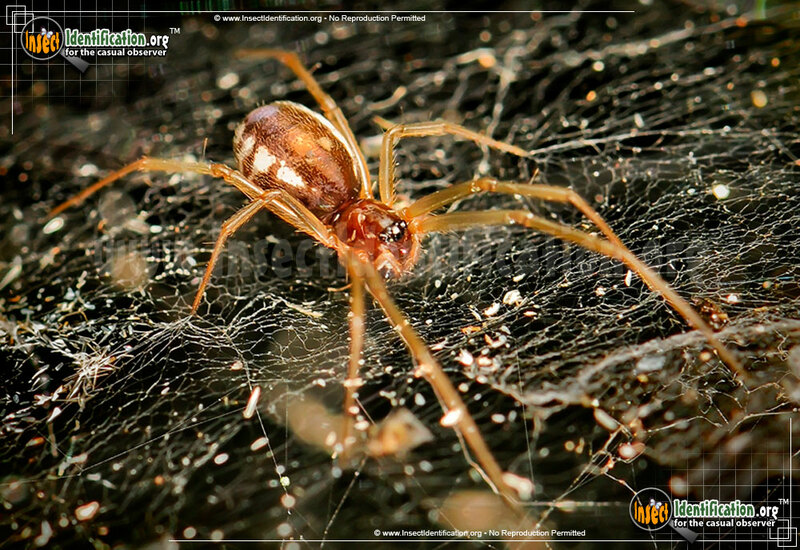 The Bowl and Doily Weaver Spider is a member of the Sheet-Web family. The distinct shape of the web created by this species aids in identifying it. The 'bowl' part of the web sits on top of a flat sheet of lacy web that resembles a doily (an ornate dinner mat). The spider sits beneath the 'bowl', but above the 'doily' while it waits for prey to get entangled. 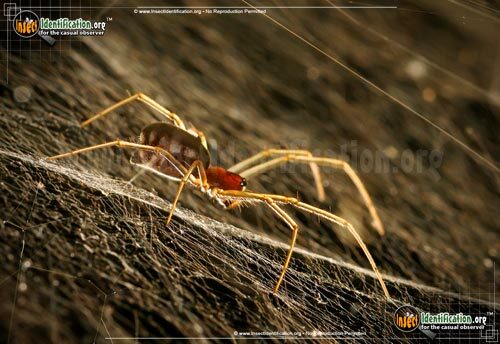 This seems to be an advantageous position because it allows the spider to survey its web while maintaining some protection from its own predators. 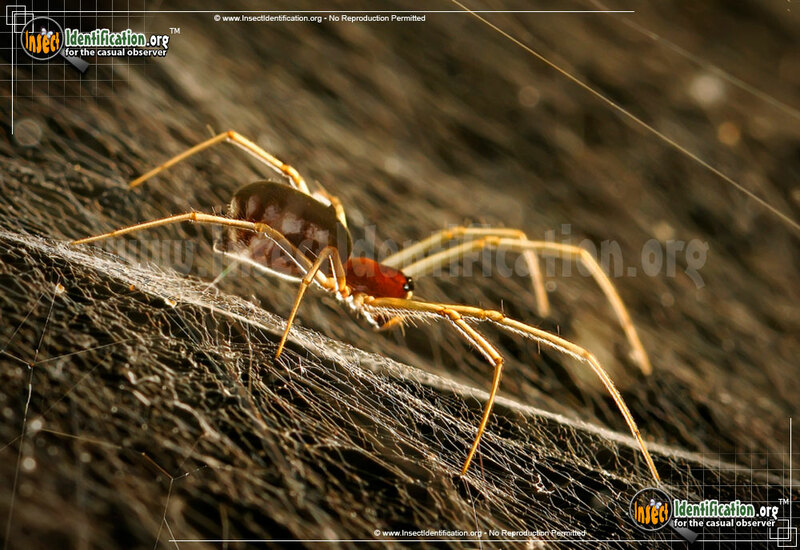 Once an insect is captured, the spider bites it and injects venom. This immobilizes the victim and the spider pulls it down through the web 'bowl' for consumption. 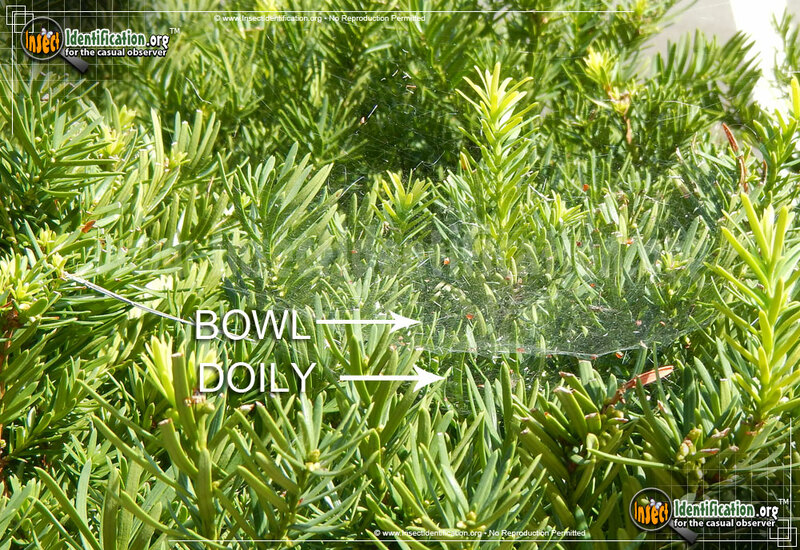 The Bowl and Doily Spider may rebuild highly damaged parts of the 'bowl' in order to aid in ensnaring more prey. Bowl and Doily Spiders are small and reddish brown. Legs are a light brown, almost yellow, color. The abdomen has white dots along the sides and is covered in short, fine hairs. Male and female spiders may actually share a web for a time. Bowl and Doily Weavers can be found in a variety of climates. Temperate woods offer home sites on tree leaves and low-growing shrubs. They may also be found in alpine forests on evergreens and in more tropical, humid areas, too.